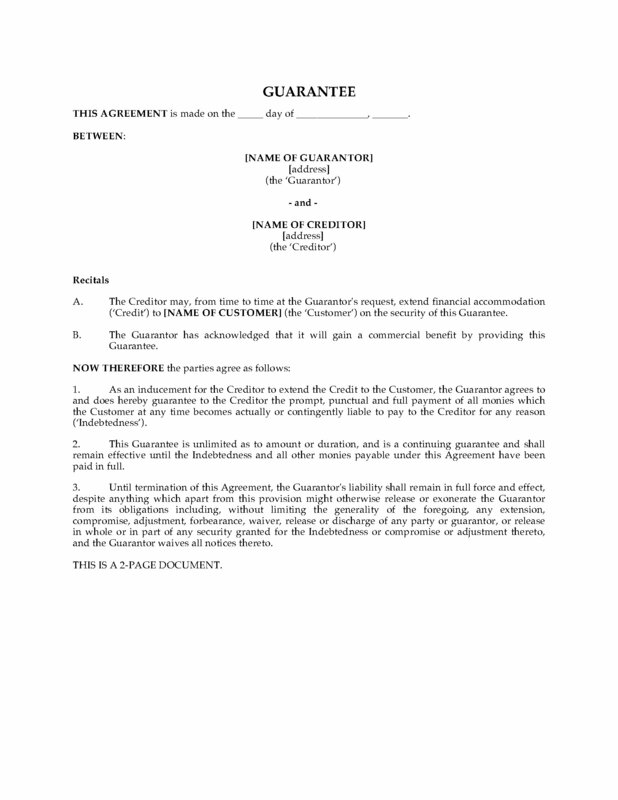 Prepare an Unlimited Continuing Guarantee of a debtor's indebtedness to a creditor with this template form for the UK. This form of Guarantee would most commonly be given by a director or member of a borrower company to guarantee repayment of a loan, credit account, or operating line advanced to the company. There is no limit as to the amount that the guarantor is agreeing to repay. This is a fully editable form - customise it as you like to fit your business needs. 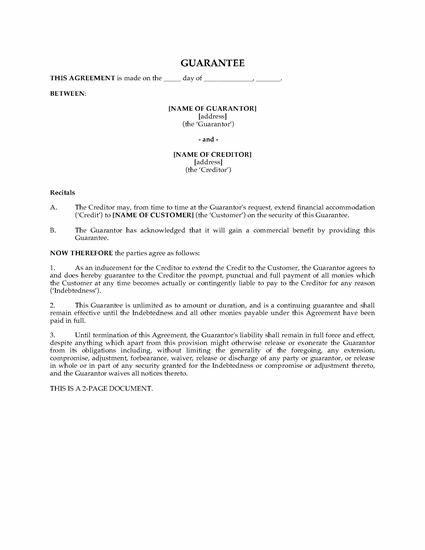 The Unlimited Continuing Guarantee template is governed by English laws and can be used anywhere in the United Kingdom.